This project will build one new Express Lane in each direction of I-25 along an 18-mile stretch known as "The Gap"—south of Castle Rock to Monument. Vehicles with one to two people pay a toll to use the Express Lanes with an ExpressToll account or through a Licence Plate Toll. Vehicles with three or more people must have an ExpressToll account and Switchable HOV transponder to use the lanes for free. The project will add one Express Lane in each direction along with safety, infrastructure and wildlife crossing improvements. Motorists will have a choice to take the general-purpose lanes for free, or drive the Express Lanes for a shorter and more reliable travel time in exchange for a toll. 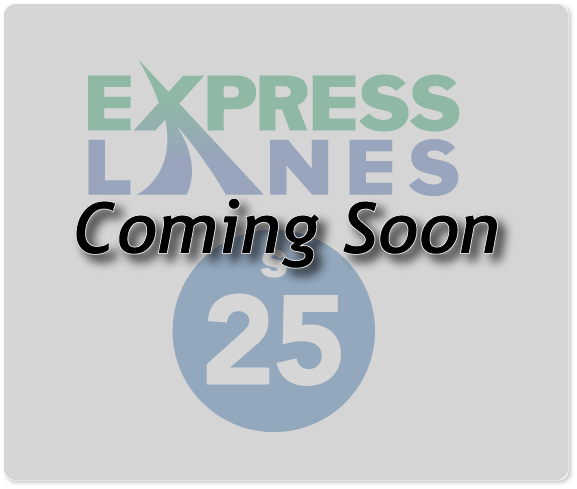 Vehicles with three or more people and motorcycles will be able to use the Express Lanes for free. Substantial construction completion is scheduled for late 2021, with tolling to begin in 2022. Overhead signage will indicate toll prices and tolls will be collected through ExpressToll account or through License Plate Toll.